Mt. Argentario – Mt. Rotondo | 170 km. Fabrizio sent us this clear view of Mt. Rotondo at 170 km. on a windy Winter day. Corse mountains can be seen from Southern Toscana when conditions are good, as in this case when wind and usually clear Winter air allowed the snow in the farthest peaks to be clearly seen above Montecristo and Isola del Giglio. This distant view has been also published on sites as stoppingdown. Bieszczady – Łomnica | 183 km. Radoslaw has sent us this amazing picture of Tatra Mountains where all distant peaks covered are shown in an amazing detail, with all ridges and summits perfectly defined and appearing beautifully above the horizon. 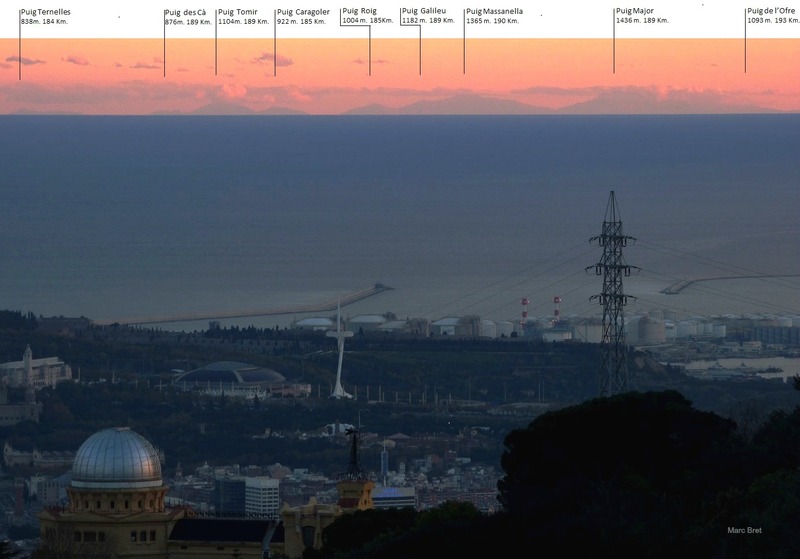 This image is a clear example of how snow covered mountains are key for distant obervations, together with a very clear air as the one this picture suggests. Valdemadera – Midi D’Ossau | 184 km. Nothing like early morning pictures to show the best and clearest air of all day. 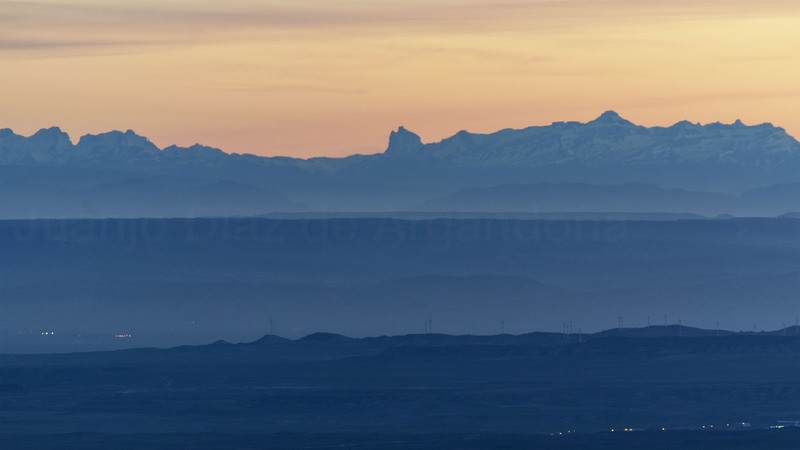 From a new sightning location, at just 1 hour driving South of Zaragoza city, the whole center of Pyrenees range shows up at an average of 170 km.